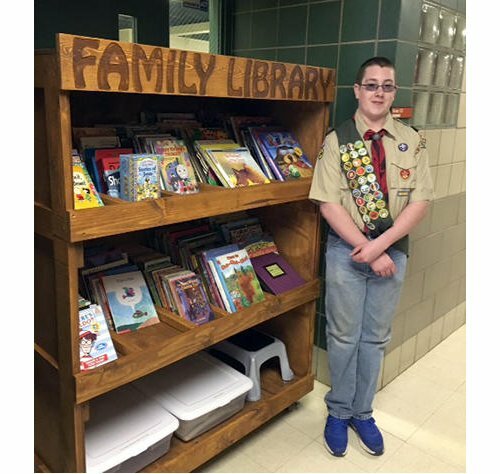 Brandon Radtke built this moveable bookshelf as his Eagle Scout project for the Barb Food Mart. Barb Food Mart is a school-based food pantry for families in DeKalb School District 428. Radtke stocked the shelves with books in English and Spanish for children to read while their moms shop. Currently, the insect and shark books are favorites.